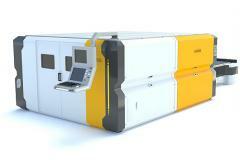 The machine of laser cutting with a fiber laser source on linear engines. The highest reliability and profitability. Ease in operation. Complexes of laser cutting of AFL are realized on the basis of an umoshchnenny bed, and also the strengthened linear engines. Installation is equipped special germozony providing the first class laser are sewn up. The equipment meets all standards of safety accepted in the EU. The system is equipped with a sliding technological table for ensuring access to a table when loading and unloading metal. For collecting small products the complex is equipped with system of sliding net pallets. For removal of the gases which are emitted the special system of an extract is provided in processing. In the portal mechanism of a complex of laser cutting of AFL it is used the precision synchronous linear motors allowing to provide the highest accuracy and dynamics of processing. This configuration is significantly more reliable than the similar equipment realized on rack and ShVP mechanisms. 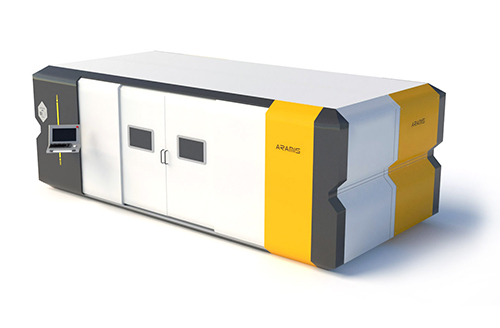 Unbelievable price on Machine cutting laser AFL-500 in Cherkassy (Ukraine) company Aramis, OOO.